Proprietary Name: Sesame Street Baby Oil What is the Proprietary Name? Non-Proprietary Name: Mineral Oil What is the Non-Proprietary Name? Sesame Street Baby Oil with NDC 22431-135 is a a human over the counter drug product labeled by Blue Cross Laboratories, Inc.. 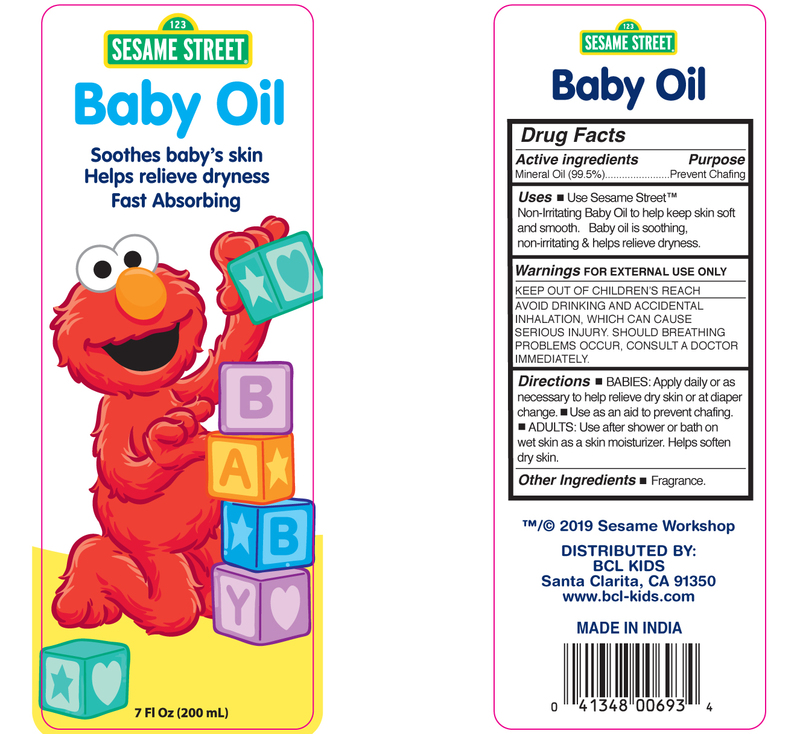 The generic name of Sesame Street Baby Oil is mineral oil. The product's dosage form is oil and is administered via topical form. Uses Use Sesame Street Non-irritatiting Baby Oil to help keep skin soft and smooth. Baby Oil is soothing, non-irritating & helps relieve dryness. Avoid drinking and accidental inhalationm which can cause Serious injury, Should Breating problems occur, consult a docitor immediately.